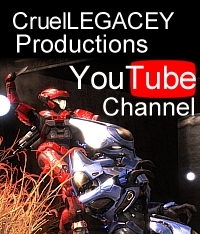 Halo Waypoint has posted Part 2 of my new tutorial series: How to make machinima. This week’s installment covers the process of developing story boards and animatics. Swing by Halo Waypoint and check it out! This entry was posted in Articles, halo reach, Strategy Guides and tagged animatics, Halo, machinima, playtime, story boards, tutorial series, waypoint. Bookmark the permalink.